Get a travel agreement from your agent, and review it carefully to ensure everything meets your specifications. We want things to go just as smoothly as you do! 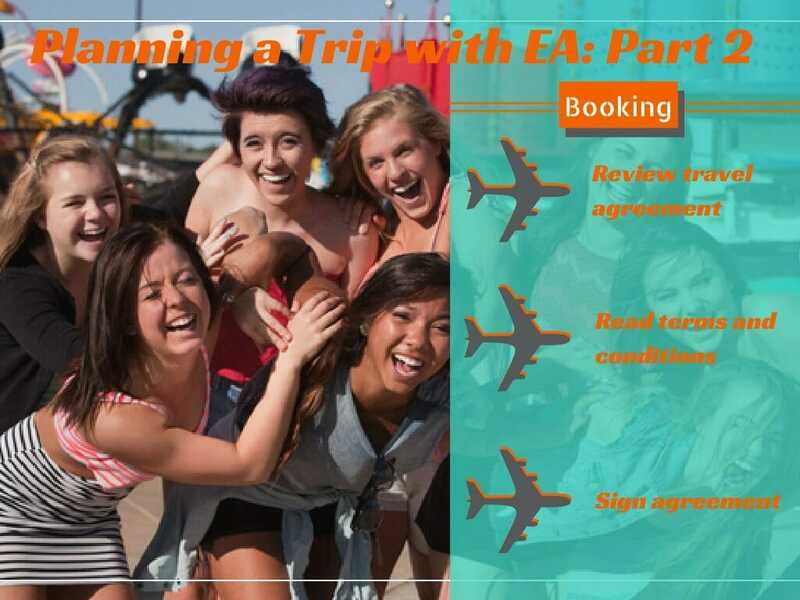 To provide you with the best group travel planning we can offer, it is important that you understand all the terms and conditions required to execute a perfect trip. Have an authorized group or school leader sign your agreement and send it our way. That’s it! Your trip is now booked!